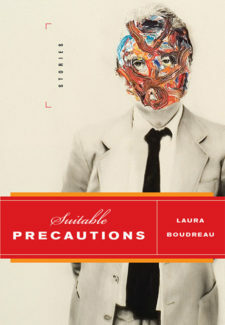 Laura Boudreau was born and raised in Toronto. She is a graduate of the University of Toronto’s MA in English and Creative Writing program. Her short fiction has appeared in a variety of literary journals and anthologies, including The New Quarterly, Grain, The Fiddlehead, 10: Best Canadian Stories, and The Journey Prize Stories 22. Her freelance journalism has been published in Canada, Switzerland, and the United Kingdom. She currently works in the publishing department of a children’s charity, and she lives with her husband in London, England.